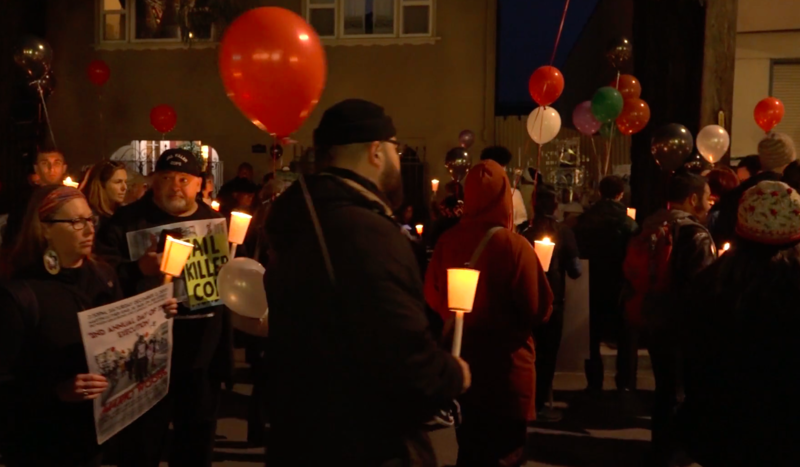 On Dec. 2 2017, friends and family members of Mario Woods gathered in the Bayview with community activists to commemorate the two-year anniversary his killing by San Francisco police. The group of 50 marched to the corner of Third St. and Fitzgerald Ave., where the 26-year-old was shot 21 times by five police officer. Woods’ shooting, caught on cell phone video, was one of a string of officer-involved shootings that forced former Police Chief Greg Suhr to resign in May 2016. District Attorney George Gascón is still investigating his killing. No officer in San Francisco has been charged in any of the police shootings.